Designed and created in the heart of Italy’s fashion capital, Milan. 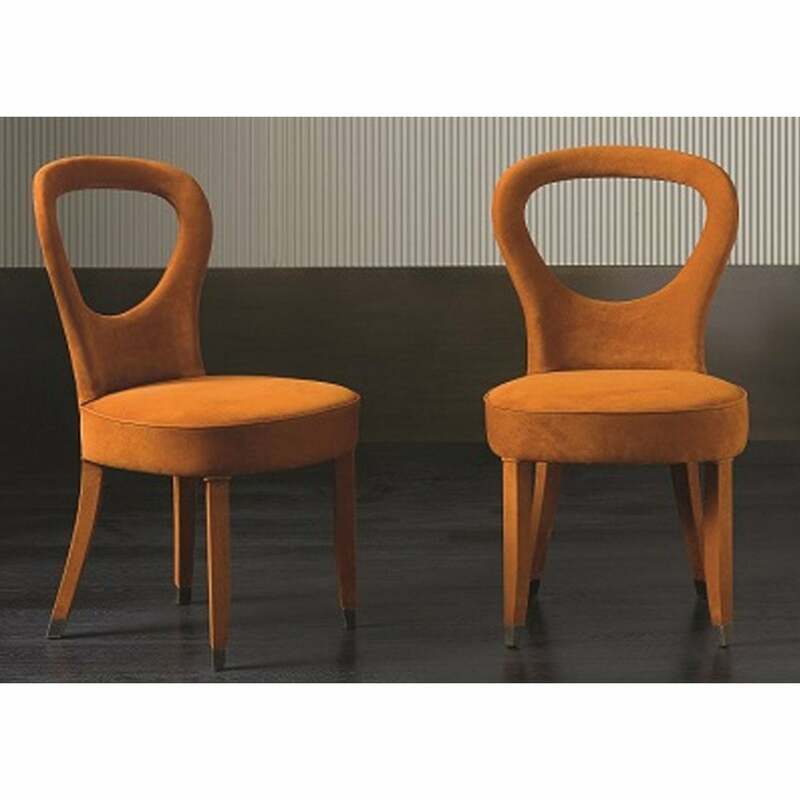 The Dolly Chair by Rugiano Interiors draws inspiration from the 1960’s era of design. Stylish and sophisticated, the curved frame can be upholstered in a smooth or textured leather and the finest Tessuto fabric. The backrest features a cut-out oval shape that adds a retro touch to this contemporary design. The legs can be covered in a complementary material and are finished with bronze or steel feet. A versatile chair that works beautifully with Rugiano’s range of dining tables. Style with the Fujico table for a scheme that exudes Italian glamour. Make an enquiry for more information.